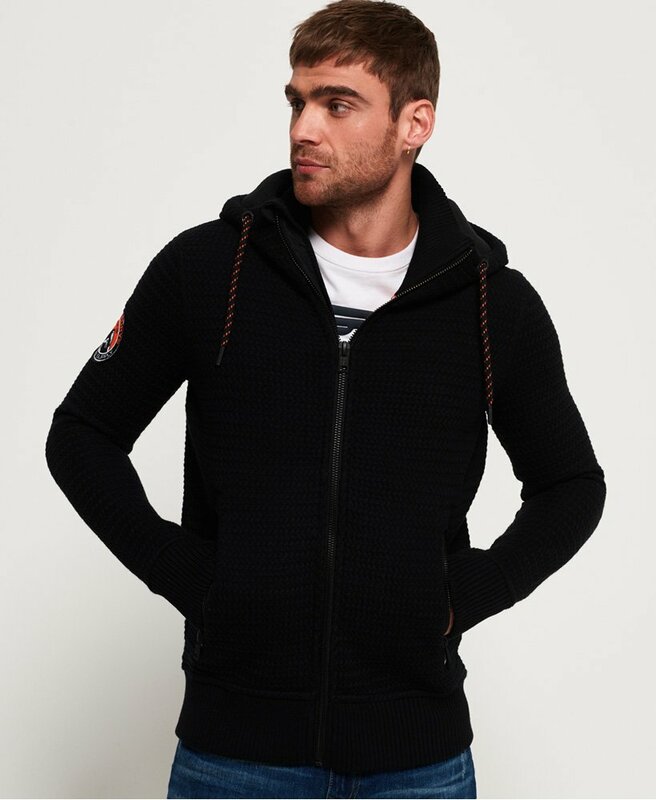 Superdry men’s Hemisphere zip hoodie. Keep warm this season in this heavyweight Hemisphere hoodie. Featuring a drawstring hood, ribbed collar, single zip fastening and two external zip pockets. This hoodie is fully fleece lined making it ideal for dry, cold weather conditions. This hoodie also features thumbholes in the ribbed cuffs, a ribbed hem, a Superdry Mountaineers patch on the arm and a Superdry logo embroidered on the shoulder.